Click on the picture to find out about schedule & fees. 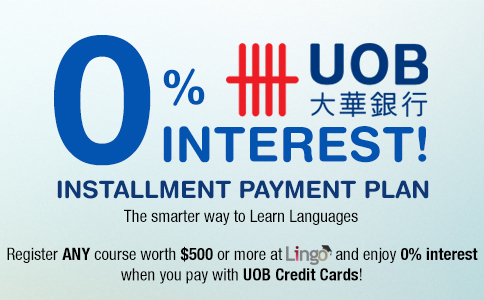 For SkillsFuture Claimable Courses, please DO NOT make any payment. Kindly contact Lingo School for assistance. Thank you. Group class Confirmation/Postponement/Call-off email will be sent out 3 days before the course start date. Lingo School is a Singaporean Language School that offers English, Chinese, French, Japanese, Korean, Bahasa Indonesian, Malay, German, Italian, Turkish, Spanish, Thai, Vietnamese, Arabic, Hebrew, Cantonese, Russian, Burmese, Hindi, Tagalog and many more languages for your selection. Lingo also conducts corporate training programs to both private and civil services in Singapore.